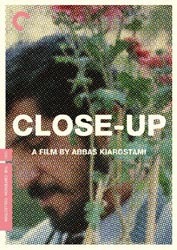 Close-Up is one of the most notable films from the late Iranian filmmaker Abbas Kiarostami. Set in 1980s Tehran, this is the story of a film-lover who gets carried away with a role of his own. When we watch movies, usually we know right off the bat what is fiction and what is fact. Documentaries investigate a little slice of reality, while dramas may start with a kernel of truth, but tend to veer off into the realm of the invented. What happens when a filmmaker combines elements of both and releases a docudrama? For Abbas Kiarostami’s classic Close-up, it’s pure cinematic magic. Set in 1980s Tehran, Close-up is the story of a film lover who gets carried away with a role of his own. Desperate for a taste of adoration, he tells a woman on a bus that he is famed filmmaker Mohsen Makhmalbaf and slowly wends his way into their family life, convincing them that he would like to scout their home for a new film location. Are his motives pure, or is he setting them up for a burglary? He is arrested. In the courtroom, the camera focuses on the imposter for a close-up. He tells his story in a gut-wrenching monologue. Ultimately, it is for the audience to decide. Using both reenactments and real-time trial footage, with all the original participants playing themselves, Close-up is, itself, an experiment in lying—as many of the greatest films are.